The natural world has a lot to teach us about how to interact with our environment. 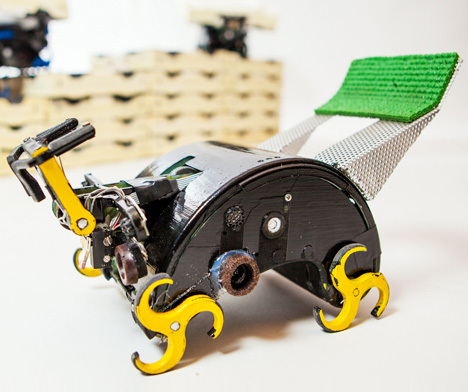 Researchers at Harvard looked to the often-maligned termite for robotic inspiration. 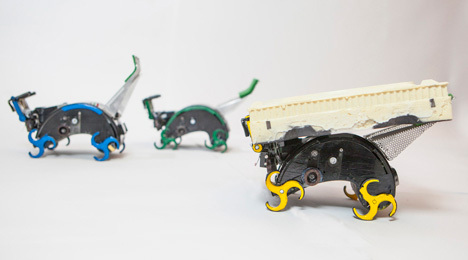 Their work led them to create a swarm of robots that can build architectural structures. The hope is that the robots can be used to build structures in dangerous or inaccessible places. The robots put together structures without a set plan, “thinking” the way that termites do when they are building. Termites build their structures simply by carrying a piece of dirt to a place – if that place already has a piece of dirt in it, they move on to another place. Similarly, the termite robots are only given very simple directions as to which direction they should move with their building blocks. If there is already a block or another robot in the place they go, they just go to a different place to put down their block. The robots are programmed to never trap themselves inside the structure they build. To test the robots, the researchers had them build a little castle. Their work is incredibly slow and doesn’t seem to have a lot of order to it, but in the end the structure is built and the termite ‘bots prove once again that just watching nature can inspire the most amazing technology. See more in Robotics or under Technology. March, 2014.